NOTE: Too large and heavy for mail order. Would need to be picked up in the nursery or delivered on a local basis. Inquire for more details. 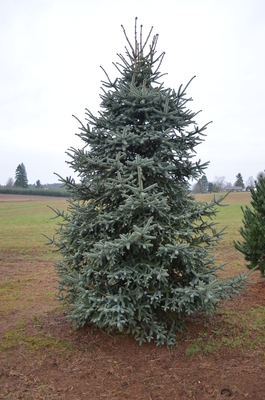 Comments: A conical Spanish fir with stiff, blue needles that whorl around the stems. Unique to this species. Native habitat are the forests in southern Spain.